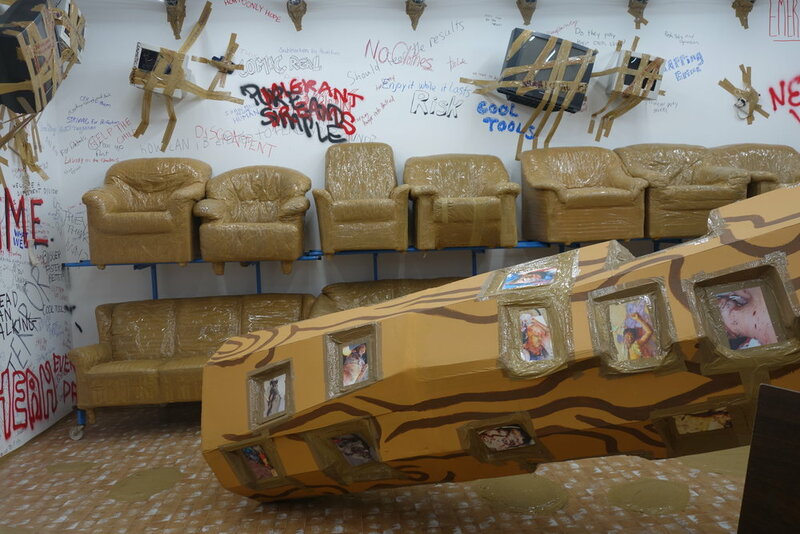 The Mistake Room is pleased to present Thomas Hirschhorn: Stand-alone, the internationally renowned Swiss artist’s first solo project in Los Angeles. 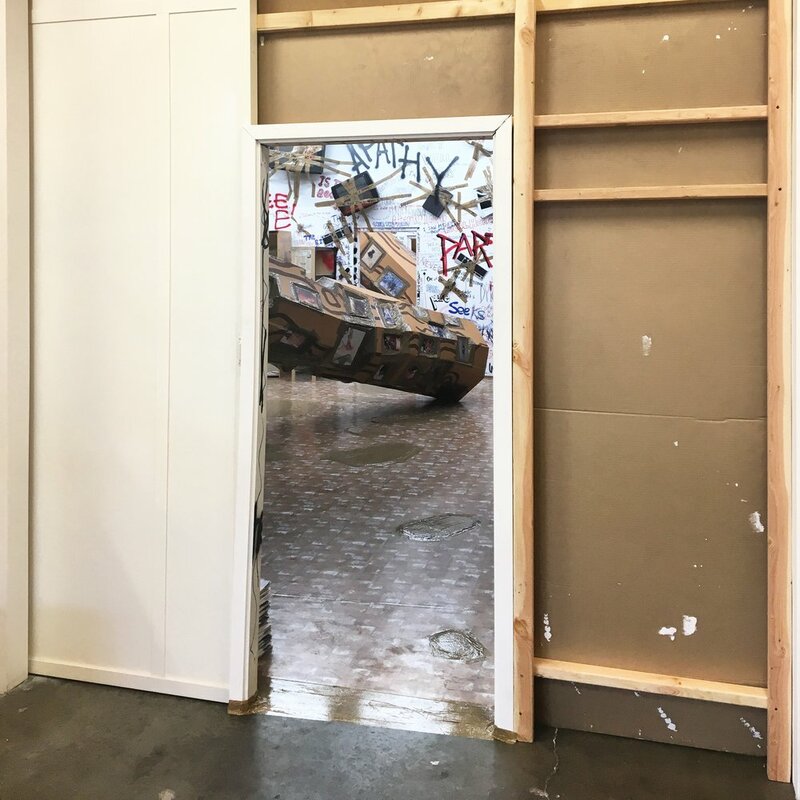 Produced in collaboration with the Coppel Collection in Mexico, the exhibition will feature one of Hirschhorn’s large-scale spatial collages that will transform The Mistake Room’s gallery space into an immersive environment. 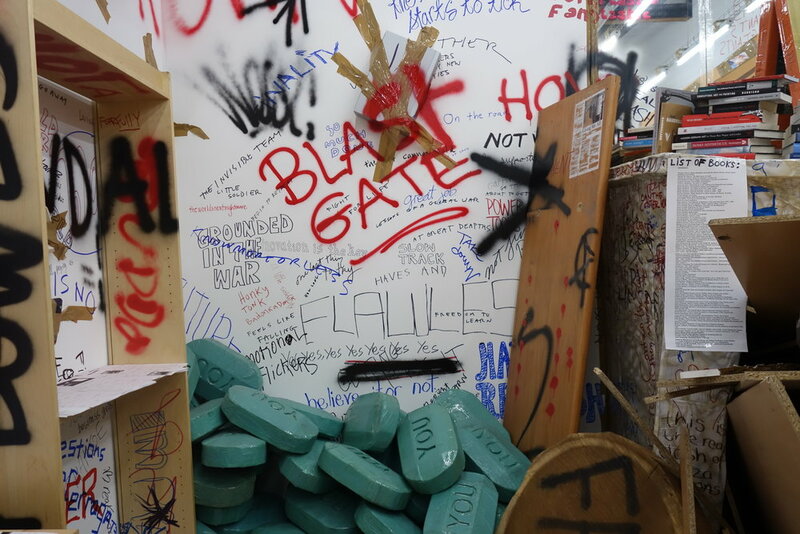 Stand-alone was created in 2007 and presented in Berlin that same year. It was subsequently acquired by the Coppel Collection and exhibited at the Tamayo Museum in Mexico City in 2008. This will be the first time the work is presented in the United States. 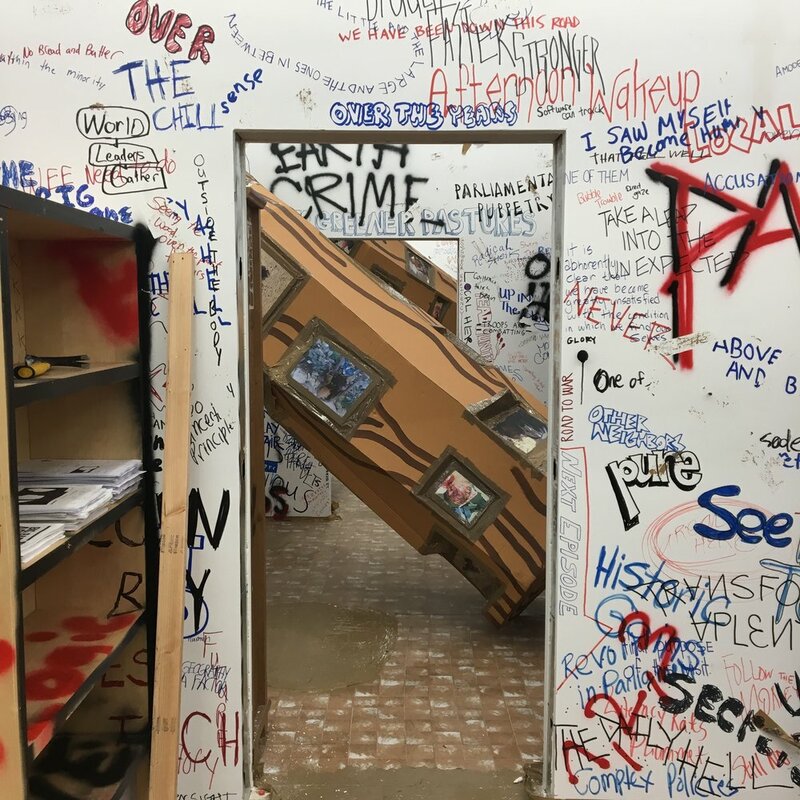 A work in chaos as described by the artist, each room of Stand-alone is conceived around a particular topic—love, politics, aesthetics, and philosophy. 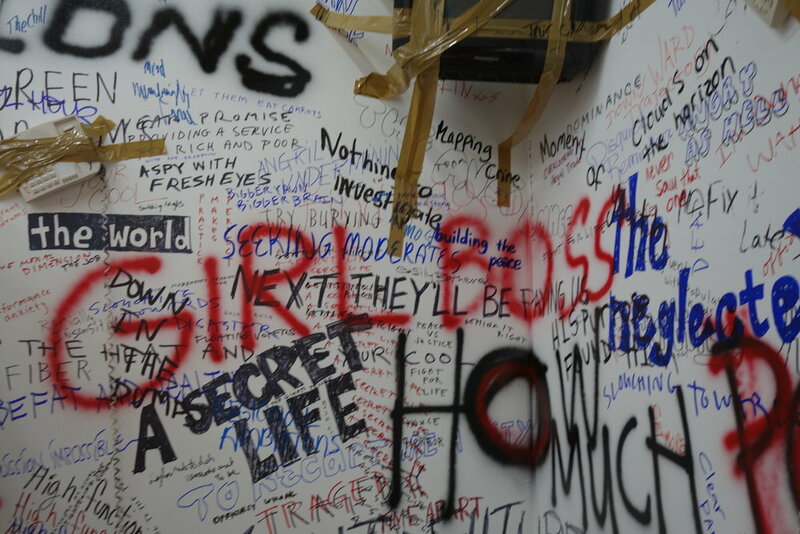 The walls covered in “news poetry”—text fragments from news magazines that at first glance seemingly appear to be ordinary graffiti—confront viewers, viscerally, with the erratic reality we experience in our present moment. 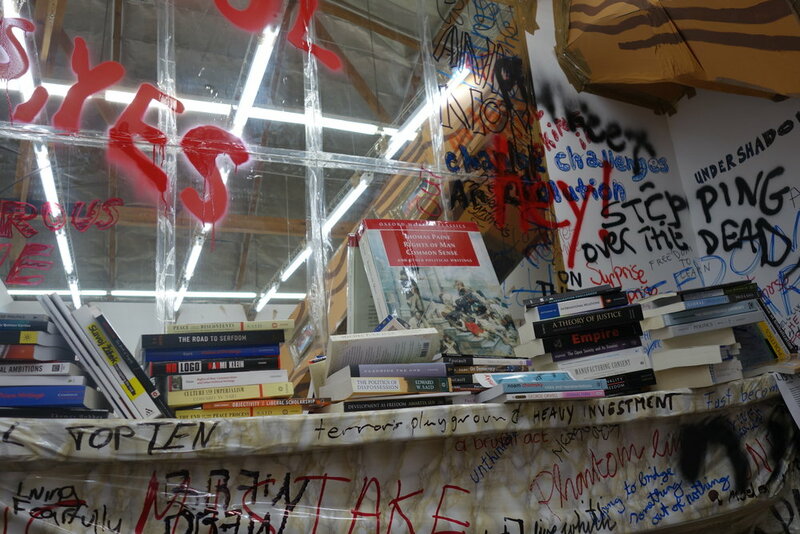 Ideas are placed in dialogue with each other and associations are forged, materially, across space. 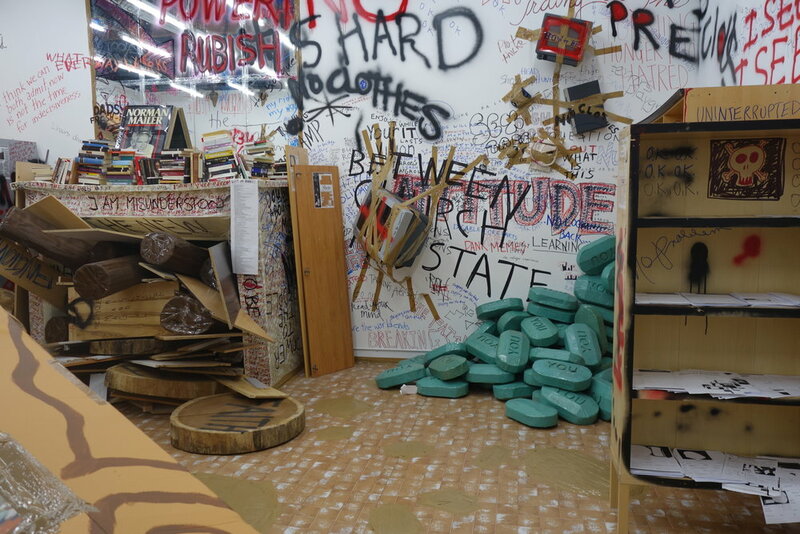 While the relationship between art and philosophy is at the heart of this work, Hirschhorn thinks of Stand-alone as a piece for a non-exclusive public; a work that does not just address a pre-informed audience. The embodied experience of viewers becomes as important and aims to instigate the same questions in audiences that the artist asks of himself—Where do you stand? What do you want? 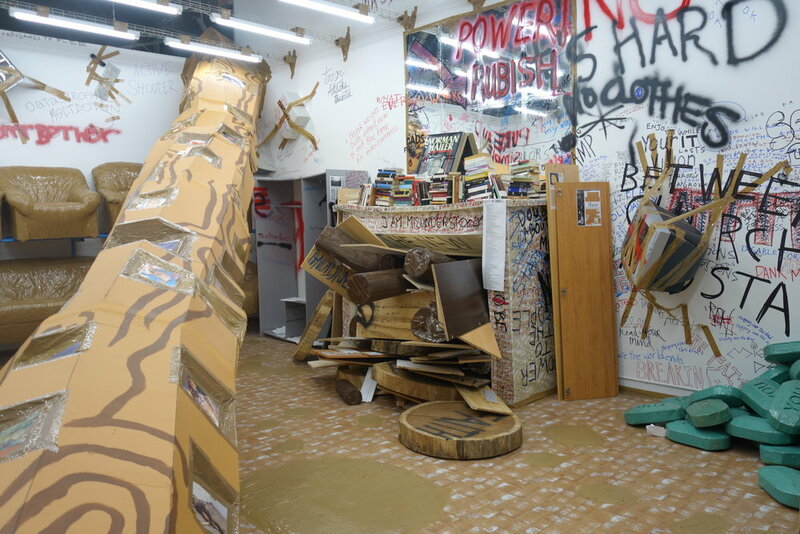 Thomas Hirschhorn: Stand-alone is organized by The Mistake Room in collaboration with the Coppel Collection and curated by Cesar Garcia, TMR Director and Chief Curator, with Hanna Girma, Curatorial Assistant. Major support for the exhibition is provided by the Coppel Collection. Additional support is provided by T38 Studio, New York/Tijuana. 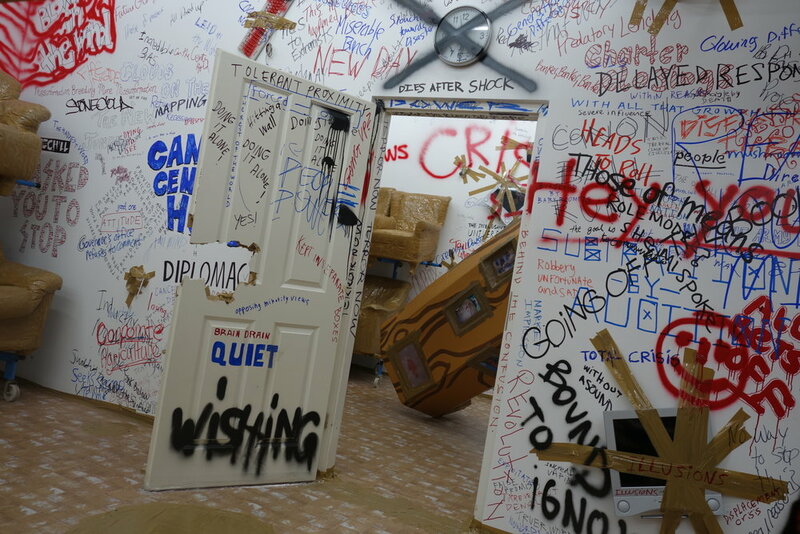 Photo Credit: The Mistake Room Inc. Copyright 2016.